23 January – Anti-Colonial graffiti painted around Sydney in the lead-up to the annual carnival of Australian nationalism. Solidarity with all who resist. Let no one say the past is dead. 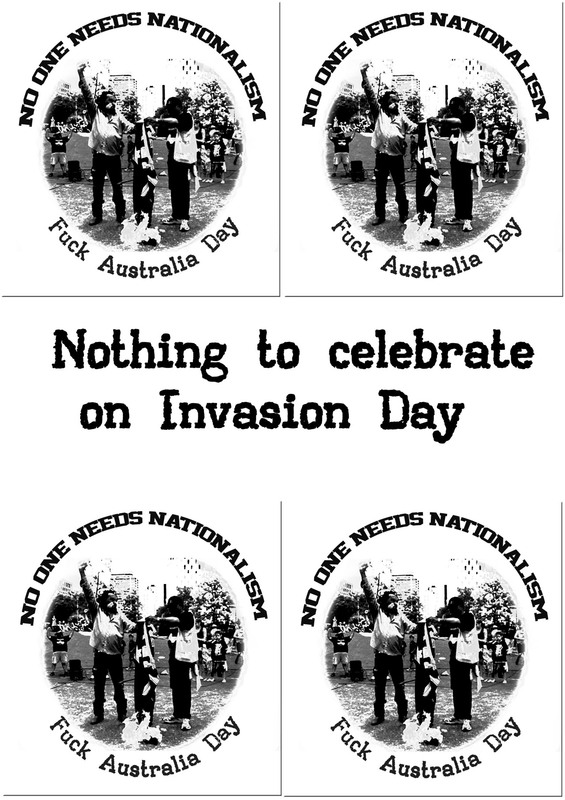 On the night of January 26th, while drunken nationalists celebrated the 226th anniversary of a British military invasion, some unaustralians vandalised the facade of the Ryde electoral office of Victor Dominello, the state minster for Aboriginal affairs and for citizenship. 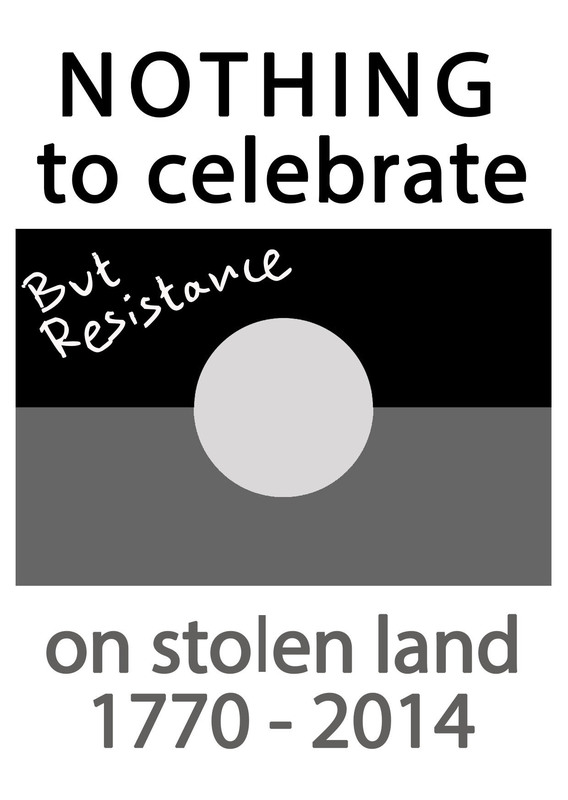 On the same day in 1938 Aboriginal activists demonstrated for citizenship rights in their stolen lands, rights which were not granted until 1967. Yet citizenship has done little protect aboriginal people from poverty, prisons and police persecution. It has not recovered their stolen lands, and neither will the new Abbott approved call to recognised indigenous people in the constitution, another empty gesture like Rudd’s cheap apology. 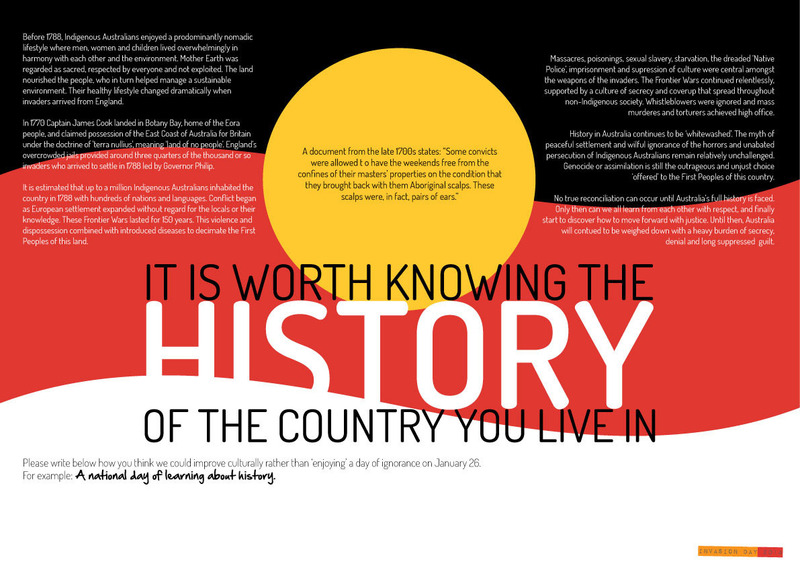 When politicians talk of reconciliation, they seek to silence those who call for land rights and autonomy, to put an end to Koori resistance with some hollow words and ceremonies, while leaving the sovereignty of the state untouched. 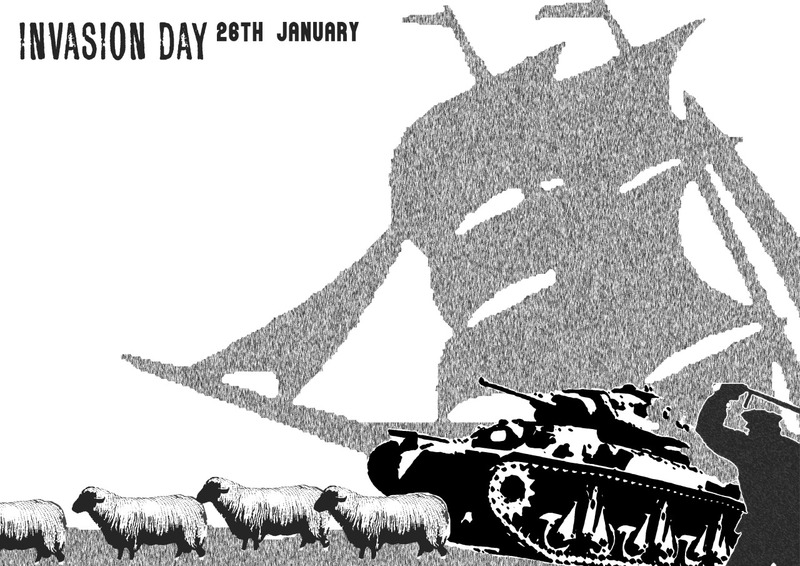 24 January: Graffiti denouncing Australia Day as ‘Invasion Day’ has been daubed along the foreshore at Sydney’s Botany Bay. Anti Australia Day slogans were painted on retaining walls, toilet blocks and other structures along an 8km foreshore stretch overnight, prompting a council clean-up on Friday. 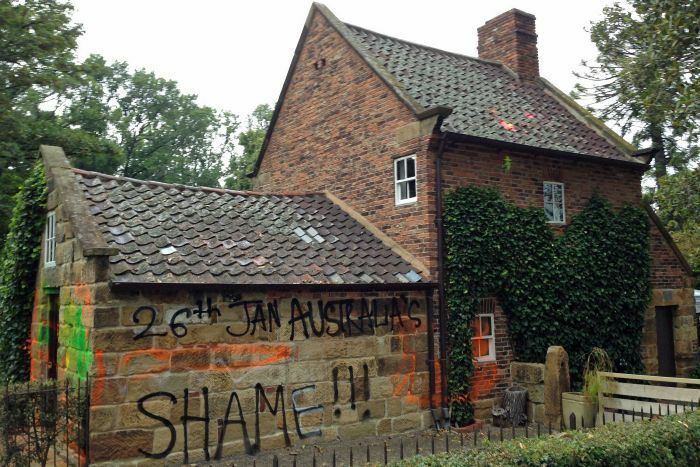 24 January, ABC: The historic Cooks’ Cottage, on the outskirts of Melbourne’s CBD, has been graffitied with anti-Australia Day slogans again. The building in the Fitzroy Gardens was vandalised overnight, with slogans including “26th January, Australia’s shame” and another containing profanity. Vandals sprayed fluorescent-coloured paint across the historic cottage and smashed a window in. Police believe light globes filled with paint were also used to vandalise the second storey of the cottage. 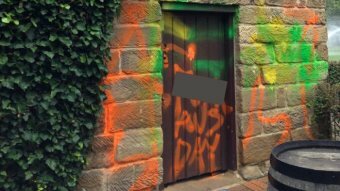 It is the third time the building has been vandalised in a year; it was sprayed twice in the days after Australia Day last year. These and more are available to download and distribute here. February 6: Council workers hosed off graffiti from Captain Cook’s cottage done as an anarchist attack for Invasion Day (a statement can be read here). A news broadcast showing the graffiti can be seen here.